Our mission is to advance education-related theory and methodology; to improve knowledge about the biological, psychological, technological, and social processes of learning, development, and mental health in diverse populations; and to enhance learning and mental health in educational and community contexts through innovative educational interventions and effective prevention/ intervention programs. 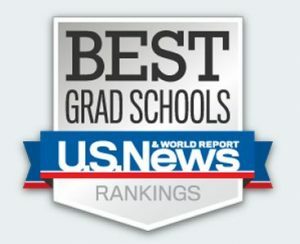 UW-Madison’s Department of Educational Psychology is regularly ranked as one of the top programs in its field in U.S. News & World Report. Beginning in Fall 2019, the department’s School Psychology program will begin enrolling students for a new Master of Science (MS) Educational Specialist Certificate program. For this MS Educational Specialist Certificate in School Psychology, students will complete the program in 3 years (which includes 2 years of coursework and a 1-year internship), as opposed to the 5 years required in the PhD program. Graduates of the Educational Specialist (EdS) Certificate program will be prepared to work in schools and related educational settings as school psychologist practitioners and will be eligible for licensure as a school psychologist by the Wisconsin Dept. of Public Instruction. Employment prospects for school psychologist practitioners are accelerating. Of all psychologist specializations, job prospects for school psychologists are among the best. For more information about the EdS Certificate program and program application instructions, click here. Our minor program will expand your understanding of how individuals learn, processes of human development, research methods and statistics, and/or how to enhance learning and adjustment in school settings. Find more info here. Ed Psych PhD candidate GeckHong Yeo will defend her dissertation. Friday, April 19 from 9-11 a.m.
Dissertation abstract: Going to college for many late adolescents can be a stressful time that presents an important challenge to their psychological well-being. Soliciting support through emotional disclosure is pivotal in negotiating the transition. Few studies have investigated developmental change in students’ adjustment during their first semester. One aspect of the adjustment is how individuals disclose their emotional experiences with their parents offline and online (on Facebook). Guided by the social sharing of emotions framework, this study had two main objectives: confirming a conceptual model of emotional disclosure and applying the model to examine how freshmen’s emotional disclosure offline and online affected their college adjustment across the transitional first semester. Data confirmed a model of emotional disclosure with four features: frequency, intimacy, and intensity of positive and negative emotions. As expected, emotional disclosure offline and online were related in different ways to college adjustment. Findings suggest the distinct importance of emotional sharing offline with parents and on Facebook during the initial adaptation to college. The dissertation committee includes Profs. B. Bradford Brown, Amy Bellmore, David Kaplan (Ed Psych) and Yuri Miyamoto (Psychology). Geckhong Yeo is doctoral candidate in the Human Development area who focuses on the comparative mechanism linking college students’ use of social media to their psychological well-being across cultures. 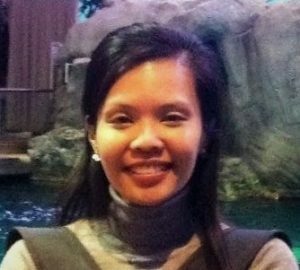 She received her BA and MS in Psychology from the National University of Singapore. Ed Psych PhD Candidate Joseph Michaelis will defend his dissertation. Monday, April 22 from 12 – 2 p.m. This dissertation defense describes efforts to develop socially-adept educational technologies to augment learning activities. I draw on research from Human-Computer Interaction and Learning Sciences disciplines to conduct empirical studies of how children interact and learn with a companion robot. These studies include: a technology probe to examine the initial design of reading interactions with the learning companion robot, Minnie; a two-week long in-home study of children’s use of Minnie; and a lab-based study of children’s learning and situational interest while reading a science textbook with Minnie. These studies show how personal connection making – having someone to share the learning experience with – and academic supports for learning create positive and meaningful experiences and how a socially-adept learning companion robot can successfully play the role of a social other in these learning environments. The dissertation committee includes Profs. Mitchell Nathan, Martina Rau, Dan Bolt (Ed Psych), Bilge Mutlu (Computer Sciences) and Judith Harackiewicz (Psychology). Joe Michaelis is a doctoral candidate in the learning sciences area. 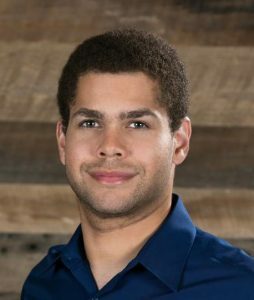 His research focuses on developing learning environments for children to read with a learning companion robot that utilizes socially situated interest scaffolds to support learning and interest in STEM fields. Joe received his BS in Philosophy from UW-Madison, and a Master’s in Science Education Leadership from the Illinois Institute of Technology in Chicago, IL. Monday, May 6th from 9 – 11 a.m. Mathematics and language have strong connections across elementary school among all students, though this is especially the case for English language learners (ELLs). These students face competing demands of native and second language development while simultaneously acquiring mathematics skills. Many studies highlight the differential achievement patterns of ELLs relative to English-proficient students (EPSs), but the extent to which English language proficiency is related to developmental patterns of these mathematics skills is less clear. In two studies, I use a nationally-representative database (Early Childhood Longitudinal Study, Kindergarten Cohort 2010-2011) to examine the patterns of change in mathematics across elementary school. In study one, I investigate whether the patterns of change within and between individuals from kindergarten to fourth grade differ significantly across ELLs and EPSs and if early working memory differs between ELLs and EPSs in predicting development trends. In study two, I test the presence of unobserved trajectories of growth among ELLs once they are assessed in English (first through fourth grade) and the degree to which gains in English proficiency in kindergarten predict mathematics growth. Results are discussed in terms of how developmental science can inform response to intervention practices among ELLs. The dissertation committee includes Profs. David Kaplan, Andy Garbacz, Craig Albers (Ed Psych) and Martha Alibali (Psychology). Garret is a 4th year student in the School Psychology program and a fellow in WCER’s Interdisciplinary Training Program. In August, he will begin his APA-accredited internship at Palatine, IL District 15 in the Illinois School Psychology Internship Consortium. He received his B.A. in Psychology and English from Northern Illinois University. Ed Psych PhD Candidate Daniel Adams will defend his dissertation. Monday, May 9th from 3 – 5 p.m. The frequent use of self-report rating scale surveys in measuring psychological attributes makes the validity of this form of assessment an important consideration in social science research. One concern, however, is the possibility that assessment respondents use the rating scale differently in responding to the items. Commonly, respondents display tendencies to over- or under-utilize rating-scale categories in a systematic way, tendencies referred to as response styles. A common example of this is when the respondent over-selects the extreme rating scale endpoints. When response-style heterogeneity is present and not accounted for, there is a potential for significantly biased estimates of the intended-to-be-measured psychological trait. In this dissertation, I will consider two applications related to response-style interference with measurement of the psychological trait. The dissertation committee includes Profs. Daniel Bolt, David Kaplan, James Wollack and Xueli Wang. Daniel is a graduate student in the Quantitative Methods area. He received his M.S. degree in Educational Psychology from the University of Wisconsin-Madison in 2017. He also received a M.A. degree in Statistics from Ball State University in 2014, both a M.S. and B.S. degree in Accountancy from San Diego State University in 2010. He has completed internships at the National Board of Medical Examiners and the Educational Testing Service. His research interests focus on how response behaviors affect measurement. This presentation will highlight research on Teachers and Parents as Partners (previously known as conjoint behavioral consultation), a family-school partnership intervention that supports children’s development by engaging families, strengthening family-school connections, and building parent and teacher competencies. A summary of research will be presented, highlighting empirically-derived benefits, mechanisms of change, and practice implications. 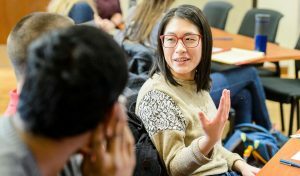 The Ed Psych department is launching an exciting, new program to train incoming graduate students in an interdisciplinary approach to education. The Prevention, Intervention, and Enhancement (PIE) training program creates synergy across disciplines to help students develop a holistic orientation to educational systems to maximize positive outcomes for all children. Each doctoral applicant to the Ed Psych department can apply to be a PIE Scholar. Those selected will enhance their program of study by participating in a four-year curriculum with advisors from two program areas. PIE Scholars will receive guaranteed funding for four years. The funding covers a stipend, tuition and student fees, and eligibility to enroll for health insurance. The PIE Scholar curriculum includes targeted study across all areas of the Ed Psych department, including an emphasis on development, learning, prevention and intervention, as well as quantitative and qualitative research methods. PIE Scholars will receive exposure to the range of populations and issues in education. Scholars will receive training in a diverse set of research methods that are suited to examining pressing issues and identifying evidence-based approaches to support all children. For some time now, Ed Psych Prof. Haley Vlach has had a reputation as a supportive, encouraging educator among the many students she teaches and works with in her lab. And now, the University has taken note, recently awarding her with the Undergraduate Mentoring Award. The campus-wide honor recognizes faculty members for extraordinary outreach and interactions with undergraduates in research, scholarly and creative endeavors. Prof. Vlach is the second Ed Psych professor to win the Undergraduate Mentoring Award in two years. In 2017, Prof. Ed Hubbard, also of the department’s Human Development area, won the award for his work with students in class, his lab and at the Waisman Center. 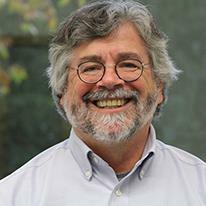 Ed Psych Prof. David Kaplan of the Quantitative Methods area will be delivering to two lectures at other universities in Fall 2019. On Sept. 27, he will give the Donald O. Hebb Lecture in the Department of Psychology at McGill University. Hebb was considered one of the most important psychologists of the 20th century. He was a fellow of the Royal Society of Canada and of the Royal Society of London, and was president of the Canadian and American Psychological Associations. The topic of this lecture will consider the quantification of uncertainty in models and methods in large-scale educational research. Then on Oct. 29, Kaplan will give the Anne Anastasi Lecture at Fordham University, which will consist of a public lecture and a Department of Psychology Colloquium. Anastasi was a pioneer in psychological measurement and in 1972 was the first woman in over 50 years to serve as president of the American Psychological Association. The topic of Kaplan’s public lecture at Fordham will be on issues regarding the proper interpretation of large-scale educational assessments. His colloquium will concern recent developments in Bayesian approaches to addressing uncertainty in statistical models. For more on these lectures, click here. For more information about Prof. Kaplan and his research, click here. School Psychology faculty members Craig Albers and Andy Garbacz, in addition to School Psychology Professor-Emeritus Tom Kratochwill, were awarded a 5-year, $1.25 million U.S. Department of Education Office of Special Education Program (OSEP) Preparation of Leadership Personnel training grant. 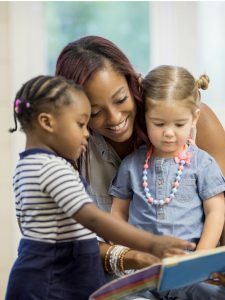 The project, entitled Preparing School Psychologists to be the Next Generation of Leaders in School Psychology Evidence-Based Practices for Students with Disabilities, will provide five years of student funding and support for up to six school psychology doctoral students interested in pursuing careers in academia. The program will emphasize the development of expertise in evidence-based prevention programs for use with diverse children at risk for disabilities, high-need children with disabilities, and high-need schools and districts. Trainees will receive in-depth training in research, scholarship, teaching, mentoring, and supervision as well as prevention science and evidence-based prevention practices. OSEP’s Preparation of Leadership Personnel awards assist states in meeting their responsibility for providing personnel to serve children with disabilities. The program supports competitive awards to help address state-identified needs for qualified personnel in special education, related services, early intervention, and regular education to work with children with disabilities as well as to ensure that those personnel have the skills and knowledge that are needed to serve children with disabilities, and that such skills and knowledge are derived from practices determined to be successful through research and experience. Program funds support projects in a variety of areas, including leadership personnel and personnel to serve children with low- and high-incidence disabilities. The program also supports projects of national significance that address personnel issues with broad applicability. Albers is an associate professor and Director of Training within the School Psychology doctoral program, Chair of the UW’s Prevention and Intervention Sciences minor and graduate certificate program, Co-Director of the Rural Education Research and Implementation Center (RERIC), and Editor-Elect of the Journal of School Psychology. 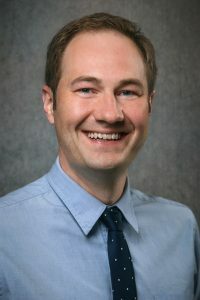 Garbacz is an assistant professor within the School Psychology doctoral program, Director of the Department of Educational Psychology’s Prevention, Intervention, and Enhancement Graduate Training Program, and Co-Director of RERIC. Kratochwill is professor emeritus, having served on the School Psychology faculty for 33 years. He is recognized as one of the most influential scholars within school psychology, having published more than 200 journal articles during his career. It is with great sadness that we announce the passing of our friend and former colleague Prof. Frank Baker. Dr. Baker, who passed in early November at the age of 90, was a professor with the Department’s Quantitative Methods area for more than three decades. He also served a term as Department Chair. Baker did pioneering work in Item Response Theory, which is a paradigm for the design, analysis, and scoring of tests, questionnaires, and other measurements. His work on Item Response Theory and other quantitative issues led to more than 100 research publications throughout his career. He retired from the Department in 1998. Dr. Baker was an avid skier, serving on the ski patrol of nearby ski hills even into his retirement years. He also designed and built model airplanes and was a founding member of the Madison Area Radio Control Club. His interest in flight went far beyond model airplanes. He earned his private pilot’s certificate and rebuilt a badly-damaged Piper Cub airplane, which he flew around the country. In 2004, he published a book on his cross-country flying adventures entitled “Piper Cub Tales.” A devoted father, grandfather and husband, Dr. Baker was also a member of the U.S. Air Force, flying some 50 combat missions as a navigator during the Korean War. 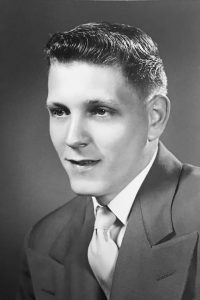 For his service, he was awarded the Distinguished Flying Cross and the Air Medal. “Those who knew Frank will remember his candor, high standards, and wry sense of humor,” says current Department Chair Prof. Brad Brown. “He will be greatly missed.” Private memorial services will be held in Minnesota. Read his full obituary here. 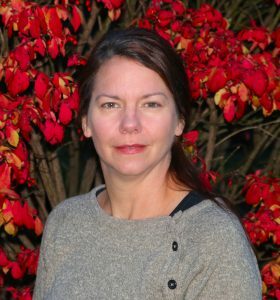 Lisa Hebgen has taken over as director of the Department’s Master of Science for Professional Educators program. She succeeds interim director Mary Louse Gomez. 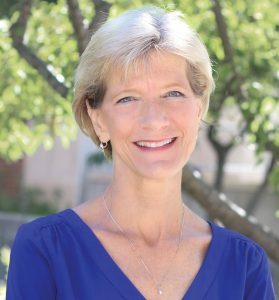 Hebgen, who was previously the associate vice president of student success for the Wisconsin Technical College System, is excited about her new role. “I love working with educators, especially when it comes to helping them decide on continuing education options,” she says. 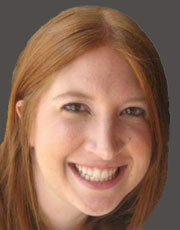 “Deciding to enroll in a master’s degree is a big step. Typically it means educators are seeking greater job opportunities, other educational related positions or enhancing their teaching skills.” Enrolling in MSPE, a unique two-year fully-online program, allows them the opportunity to gain experience in each of these options as it combines instruction from the departments of Curriculum & Instruction, Educational Psychology and Educational Leadership and Policy Analysis. Another key feature is that it requires educators to be employed during their graduate studies, which allows the coursework to be fully integrated into their current work setting. 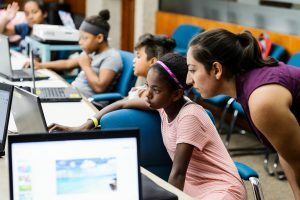 The program follows a cohort model with all students beginning in the summer term and taking classes in sequence with the same group of students for both years. Hebgen is looking forward to growing the program as well. “I’m excited to learn about the market for educators who are pursuing graduate degrees,” she adds. “By talking to students and faculty about where the field is headed and about their ideas for courses and coursework, we can learn how to better serve our students and meet their needs.” For more information about the MSPE program, visit their website here. 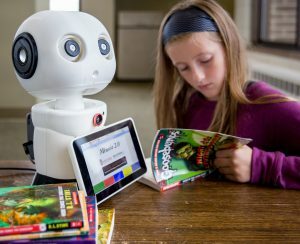 A new study from a lab in the Ed Psych department has found that a ‘learning companion robot’ can successfully encourage children to read through subtle social interaction. And this new research is earning plenty of attention. In the study, the research describes how Learning Sciences graduate student Joseph Michaelis built a robot – which he named Minnie – to serve as a reading buddy for middle school kids. His research, published in the journal Science Robotics earlier this month, found that Minnie’s new middle school friends grew more excited about books and more attached to the robot over the time the children spent reading to it. “After one interaction, the kids were generally telling us that, sure, it was nice to have someone to read with,” explains Michaelis. “But by the end of two weeks, they’re talking about how the robot was funny and silly and afraid, and how they’d come home looking forward to seeing it again.” As the child reads to the robot, it reacts to what’s happening in the book. “The goal is to try to make it as genuinely conversational as possible. 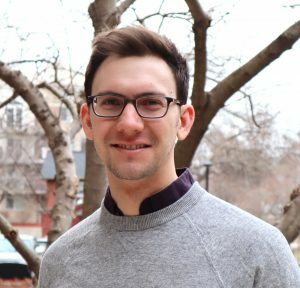 If you were reading a book to me, and I was surprised, I’d say something like, “Wow, I didn’t see that coming!” explains Michaelis, a PhD candidate. “So, when a scary part of the book happens, the robot says ‘Oh, wow, I’m really scared.’ It reacts like it would if it had a real personality.” A number of media outlets have picked up on this new notable research. To read the story on CNN’s website, click here. Also check out the story in Popular Science here. And if you would like to read the Science Robotics journal article, click here.